Last night I could not sleep, went to bed at 11:30 got back up at 1:00. Watched some stuff in my DVR, went back to bed at 3. Got up this am at 8:30 made smoothies, we got ready an went to Orlando. 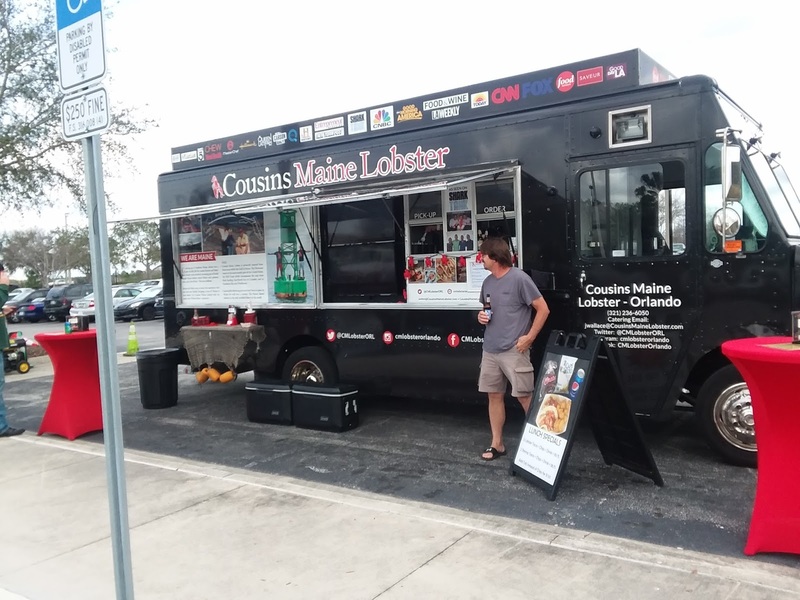 First we stopped at Publix to get some cash back. 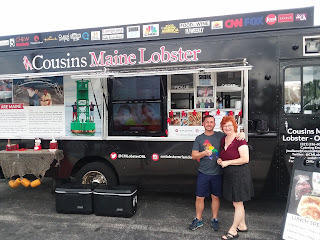 Then off to Cousins Maine Lobster, always wanted to find the food truck ever since we saw them on Shark Tank. Was really good not cheep, but I knew that, it is real lobster after all. Also always wanted to go to a Trader Joe's, was really cool just wanted to find some healthy snacks. Bought a lot of items I never got before, guess we will see how they are. Then we went to another Publix closer to the CG on the way home. Had a lot of stuff to put away, made dinner and I made a baked pumpkin oatmeal for tomorrow. An watched some Olympic Zone. I want to try to go to bed early, we need to be up and out early tomorrow.